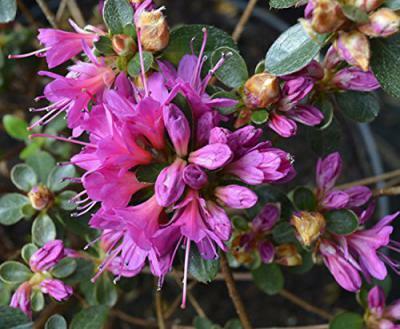 One of the most versatile, yet most visually effective flowering plants; the evergreen azalea – also known as the Japanese azalea – can light up a back garden with absolute ease. They can work from a small window box, all the way up to lining a huge estate, it’s all dependent upon your requirements and space to work with. Size-wise, most evergreen azaleas span between 60-75cm within 10 years of growth and their consequential maturing, apart from one of the speciality evergreen azaleas – the Nakaharae azaleas – which are prostate, meaning they’re ideal for cascading over tubs or down walls. 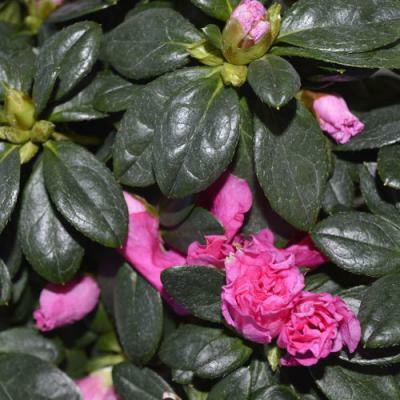 Available in a myriad of beautiful rich colours, you can bring a rainbow of azaleas into your garden inexpensively with our range here at Imberhorne Lane Nursery. It’s all dependent on the existing flowers within your garden on how you’d like to design the colour scheme. 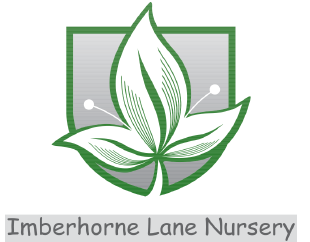 Contact us here at Imberhorne Lane Nursery today to discuss anything further you’d like to know about evergreen azaleas. With years of experience working with plants in the gardening industry, we’re highly adept at answering any queries you may have regarding your purchase. Whether it’s regarding the maintenance of evergreen azaleas, the best place and time to plant them, or their origins; we’d be happy to have a chat. 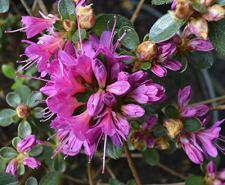 We grow a wide range of named varieties here at the Nursery. They enjoy a partially shaded aspect and give a spectacular display of colour from late spring to early summer. 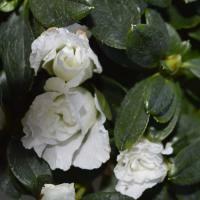 Evergreen azaleas thrive in an acidic soil and benefit from an annual mulch of ericaceous soil. Pick up the phone or drop us an email today to discuss evergreen azaleas or any of the flowering plants we have to offer here at Imberhorne Lane Nursery today.